Located in the heart of London’s West End, Voyage is inspired by our physical journey through time and space: from the Industrial Revolution, through the Belle Epoque , arriving at the present day. It is characterised by the immediate and frantic speed of travel, all measured by the rhythmic movement of a giant illuminated clock and projected onto the facade of the iconic Hotel Café Royal building on Regent Street. In anticipation of Lumiere London 2018 (18 - 21 January 2018) we talk to artists Camille Gross and Leslie Epsztein, read on below..
Voyage truly is a masterpiece, from where did you take your inspiration in creating this modern day piece of art? Initially we created this project for St Paul station in Lyon and our partners asked us to work around emotions in stations. So we decided to use time as the underlying theme which is a component very important in travel and railway; time as in hours and minutes but also history. to discover the different states of the station. We wanted to portray the story of a traveler, our feelings when we board a train, the emotions that pass through us, like melancholy, excitement or sadness. We also wanted the audience to feel fully immersed in the installation, so we use orchestral music mainly for maximum impact. rythm of the stations and the movement of trains. We wanted to symbolize this passing time and this perpetual movement by showing circular elements throughout, such as wheels, cogs and clocks to show that a train station is always in motion. 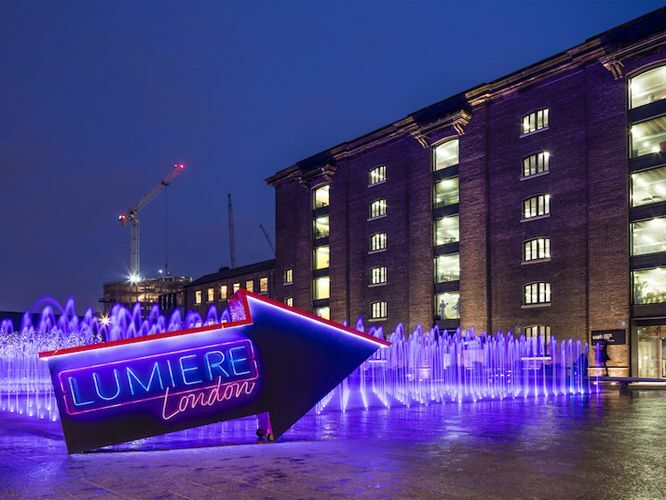 What made you want to partake in Lumiere London? Participating in a light festival is always an excellent experience, we are always very well surrounded and it is an opportunity to meet new artists. To be in London is amazing and to have the chance to project in the very heart of the city onto the iconic Hotel Café Royal at Piccadilly Circus is exceptional. When Artichoke asked us to work with them for the project "Voyage" we didn’t hesitate . 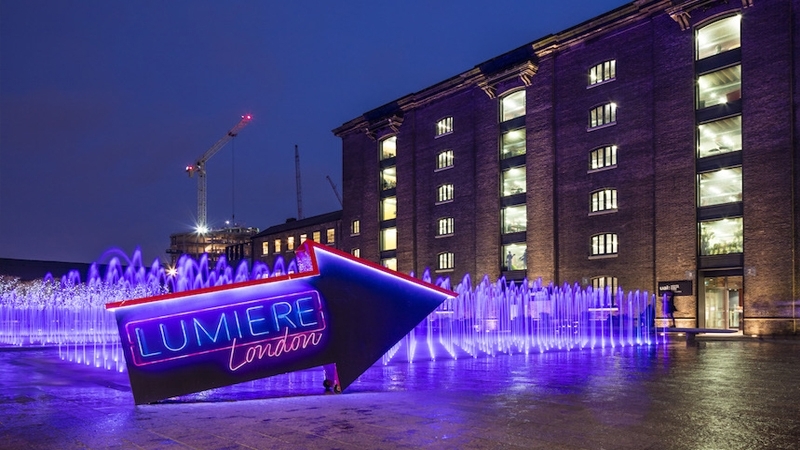 In your opinion, what is most exciting about Lumiere London? We think coming to London to be part of a light festival is a great experience, also to rediscover the city from an unexplored point of view, to look at architecture and the city's buildings in another way, in detail, not just in passing. To see the residents of a big city connect around artistic projects is really comforting to an artist. Exchanging experiences and knowledge and working with a female production team is also a great plus. Where do the differences lie between Lyon and London in terms of the festival? It's our first time in London for the festival so we can’t really compare but obviously London is much larger than Lyon so the dispatch of the installations, regulations of the crowd will differ massively. We see it as an occasion to discover new artists and to say hello to colleagues and peers. Leslie Epsztein is a graphic designer who specializes in light projection. After studying at the Emile Cohl School and graduating (Bachelor) in Performing Arts, she obtained a master degree in visual communication at ECV Paris. In 2010, she joined video painter Xavier de Richemont's team, where she worked on international lighting projects for five years. In 2015, she decided to develop more personal projects as an independent graphic designer. She collaborates with several agencies in monumental projection and worked for "Chartres en Lumières" and "La Fête des Lumières" in Lyon in 2016, where she co-produced "Voyage" with Camille Gross on St Paul's station. The project also travelled to Quito, in Ecuador, in the summer of 2017, before making its way to London in January 2018 for Lumiere London. Camille is a French visual designer specializing in light video-projection. Passionate about art since her childhood, she studied at L’esat in Paris, where she graduated in section scenography in 2008. The same year, she worked with a French artist video with whom she collaborated for four years on international light projects. This is where she met Leslie Epsztein. A freelancer since 2012, she regularly collaborates with French agencies on various projects. She has worked with multiple French festivals such as “La Fête des Lumières” of Lyon, “Chartres en Lumières”, “Biarritz en Lumières”, and in Italy with “Ravenna in Luce”. The project “Voyage”, co-produced with Leslie Epsztein for Lyon, also travelled to Quito in Ecuador, in the summer of 2017 before making its way to London in January 2018 for Lumiere London.